“Bonkers. Absolutely bonkers,” insisted Neil Lennon. And no-one could argue with that blunt assessment of what was a thrilling finale to the season. It may not quite have ended in the fashion Lennon had envisaged, Wednesday night’s derby defeat ending all hopes of finishing the season in second place but, nonetheless, in the cold light of day, everyone connected with the club will regard their return to the Premiership as nothing less than a success. To end it all with a ten-goal thriller was undoubtedly a fitting finale for a team which has become renowned for its swashbuckling, stylish brand of football. Yes, maybe a few more goals conceded than Hibbies would wish and a number of points needlessly lost, but overall the ever-increasing gates at Easter Road reflect the entertaining football that has been on offer. In a game which swayed one way and another – Hibs leading by three goals only to find themselves 5-3 behind before claiming a draw as Australian striker Jamie Maclaren sealed his hat-trick deep into added-on time – brought a prize of its own, a 67th point, a record top-flight tally in the club’s long, long history. 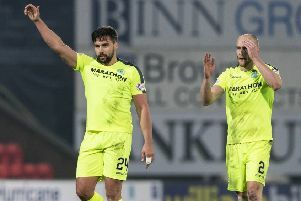 Hibs had gone into this match knowing that only a six-goal winning margin would be enough to lift them from fourth to third in the final reckoning. And, for a few glorious moments, it looked as if such a fanciful result might just be on, the players rubbishing any thought that this was anything other than a meaningless match for them. Referee Andrew Dallas spotted Rangers defender David Bates knocking over Maclaren inside the penalty area as the Aussie striker readied himself for Vykintas Slivka’s cross but even when Kamberi fired Hibs ahead from the penalty spot after only ten minutes few could have imagined what was about to follow. The Ibrox side were all over the place as Scott Allan nipped in to beat Sean Goss to Slivka’s knock-down from a deep Lewis Stevenson cross to claim a second and then Stevenson repeated the trick, supplying an inch-perfect delivery for Maclaren to glance home a header. The unthinkable suddenly became the thinkable, any hope Rangers themselves harboured of overhauling Aberdeen to claim second place appearing to have vanished as Hibs fans began to wonder just how many goals Lennon’s players might rack up. Given that Rangers keeper Jak Alnwick had been forced to race from his area to clear after Paul Hanlon’s defence-splitting pass threatened to put Maclaren in and only a last-ditch touch from Bates prevented Kamberi from taking his half-season tally in the green and white to ten, there was some substance to such thoughts, while the reduced number of Rangers fans behind Alnwick’s goal were simply numb. 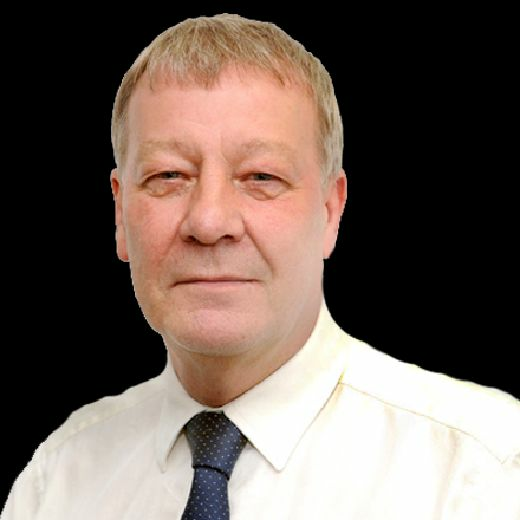 But in the blink of an eye the dream died, James Tavernier playing a one-two with Jason Holt and sliding home to silence the home crowd, who were still trying to find their voice again when Andy Halliday’s ball passed the outstretched boot of Hanlon, leaving Jordan Rossiter to reduce the leeway even further. It had been breathtaking stuff and there was no let-up as Efe Ambrose’s lazy challenge on Jamie Murphy resulted in a free-kick 25 yards out, Rangers substitute Bruno Alves stepping up to curl a wonderful shot beyond Ofir Marciano. And it could have been even worse as former Hibs striker Jason Cummings rounded Marciano only to find Ambrose on the line to clear. Both sides, however, would no doubt have enjoyed the half-time break, giving them a chance to catch their breath and to try to take in what had happened but the second half quickly fell into the pattern of the first, Bates heading a Slivka cross over his own bar rather than take any chances as Hibs looked to get their noses in front again. But Rangers then took the lead for the first time, Cummings feeding Murphy, who found Holt in acres of space to his left, the former Hearts midfielder with the time to pick his spot although his shot appeared to take a slight deflection as it found its way beyond Marciano again. Not surprisingly, the visiting fans wasted no time in taunting Lennon, his players and the home support for having surrendered such a lead although their mood would have been tempered somewhat by the news that Andy Considine had given Aberdeen the lead at Celtic Park, meaning that should things stay the same way in the east end of Glasgow, it would be the Dons who would hold on to second place in the table. Nevertheless, Rangers went looking for more, the legs of Marciano preventing a downward header from Murphy adding to those four goals before the Israeli internationalist got a strong right hand to Tavernier’s netbound effort. Rangers made that spell of pressure tell and they got a break when Holt’s shot took a wicked deflection off the hip of substitute Josh Windass to leave Marciano beaten for a fifth time. However, as we have seen many times this season, this Hibs side doesn’t know when it’s beaten, Maclaren throwing them a lifeline as John McGinn and Slivka combined to engineer the opening for him to score his second and so reduce the margin to a single goal. Holt needlessly picked up a second yellow card for a tug on McGinn on the halfway line and Hibs made that count, Danny Swanson, who had replaced Stevenson, getting to the byeline for Maclaren to send the ball into the roof of the net – and almost take the roof off Easter Road itself. The Hibs boss couldn’t hide his own joy, racing towards the Rangers fans in an “aeroplane-type” celebration, an action which saw him sent up the tunnel although he insisted he shouldn’t be on the end of another ban for that.